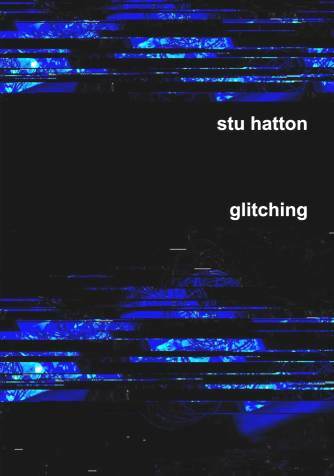 Thank you, Stu, for the honour of launching your poetry collection Glitching. I first got to know Stu some years ago when we were both teaching at Deakin and I was after someone to take one of my classes while I was away. The class was on Marxism, and one of my colleagues suggested I get in touch with Stu. Apart from being a really good teacher, he’s a serious young poet, my colleague said. And I thought in what better hands could I put a class on Marxism than a serious young poet. I’ve got to know him much better since then, and count him not just as a dear friend and the person who introduced me to the post-rock band God Speed You Black Emperor, but also someone I deeply admire and respect for the kind of experimentation his poetry writing shows. Not to mention how prolific his writing is. When Stu gave me his last collection of poetry How to be hungry, a whole different appreciation of him opened up for me. Even the title, the way that good titles do, spoke of Stu’s sensibility as a poet – someone who has a deep desire to get underneath, between, and outside language, trying to seek out a different perspective, about what on the surface seems to be simple enough. For me, out of this title came the feeling that we actually need to learn how to be hungry, and just one of the many things it made me think of was the separation from nature brought on by industrialisation that Wordsworth laments in his poem ‘The world is too much with us’. And I thought, well, if I need to be taught how to be hungry, then I want a poet to be the one to show me. But I’m really here to speak about Glitching. Gaston Bachelard in his book The Poetics of Space writes that the poetic image forms as “a sudden salience on the surface of the psyche” (1994:xv). In this way, “[t]he poet speaks on the threshold of being”(1994:xvi). I think that what Stu does with this sense of threshold is one of the most exciting things I see in Glitching. In many of the poems, as the image gathers momentum and we start to move with it across that threshold, we are arrested. There is the tension of a scene forming, but then time is suddenly compressed. I feel that when we reach that crossing point we’re held there in the spell of the language itself, as if there’s something that has to be worked out before we move from that space into the world of symbols, of order. An order of language that is constantly destabilized and disturbed by these poems. Again, in Bachelard’s project (after Eugene Minkowski), the being of an image is determined via the experience of its reverberations – and it’s in reverberation that time and space are epitomised (1994:xvi). In Stu’s poems there are moments of impression and then as soon as the impression begins to take hold in time, then suddenly we’re inside another impression, another image. This has a reverberant effect, but not necessarily with recourse to repetition in the actual words used themselves. It’s such a diverse collection of poems that I feel like I’m only just beginning to touch on the breadth of experimentation and different styles that are at play in this writing. There’s a desire in this poetry to take apart language, to almost not let it speak. This is one of the myriad expressions of the glitch – a disturbance in transmission which is not just mere disruption. Alain Badiou in his Handbook of Inaesthetics in not denying the enigmatic surface of the poem, speaks of the way the poem invites us in to see its operation. It takes us in to see what is happening inside it (2005:29). When I think about what is happening inside Stu’s poetry; what he is trying to do with language I’m reminded of another philosopher, and literary critic, Mikhail Bakhtin. In his conception of language there is a kind of Zoroastrian clash at the very heart of existence between centrifugal forces that try to blow everything apart and centripetal forces that try to make things cohere. But for Bakhtin although language reflects struggle, it is not passive, “no mere yielding clay”(Bakhtin 1981: xviii). Rather, Bakhtin’s sense of the duel in language “stresses the fragility and ineluctably historical nature of language, the coming and dying of meaning that it, as a phenomenon, shares with that other phenomenon it ventriloquates, man”(ibid). And so the glitch jolts us, shocks us out of our complacency, and signals a whole other world. A world that is best expressed, perhaps can only be expressed, in music. And in Stu’s poetry music is never far away. His poems are like word versions (and I don’t mean Microsoft!) of experimental ambient music, where you see composers performing on laptops. I kept thinking of my favourite collaboration between Ryuichi Sakamoto and Alva Noto called Insen when I was reading Glitching. In this electronic album we get treated to the Modern classical, the minimal and the glitch. Glitching tilts towards a poetry of error, malfunction, accident, remixing and transformation. That’s the threshold that Stu negotiates in his poems – he investigates the constantly shifting threshold between speaking and glitching. And I’d like to end on the warm, wry humour that abounds in this collection. The wonderful inside-outside eye that Stu casts on events is alluring, no matter how repellent the scene presented. I think I quite fancy going on a cruise ship and attending a guest talk on unlocking my inner chartered accountant. And we all know that sunbather perving through the chinks in his straw hat. Thanks again, Stu, for asking me to launch Glitching. Now this book is out, a lot more people can look forward to resting in your pulse. Bachelard, G 1994 (1964), The Poetics of Space, Massachusetts, Beacon Press. Badiou, A 2005 (1998), Handbook of Inaesthetics, trans. Alberto Toscano, Stanford, Stanford University Press. Bakhtin, Mikhail 1981, The Dialogic Imagination: Four Essays, ed. Michael Holquist, trans. Caryl Emerson and Michael Holquist, Austin: University of Texas Press. Insen 2005 by Ryuichi Sakamoto & Alva Noto, Raster-Noton Label, Berlin (CD). This entry was posted in Issue 12 and tagged Australian Literature, Australian poetry, poetry by Mark Roberts. Bookmark the permalink.